This article explores the benefits and challenges of blended learning in higher education from the perspective of students, faculty, and administration that have had direct experience with this form of course delivery. Students indicate that a blended learning model provides them with greater time flexibility and improved learning outcomes but that initially they encounter issues around time management, taking greater responsibility for their own learning, and using sophisticated technologies. Faculty suggest that blended courses create enhanced opportunities for teacher-student interaction, increased student engagement in learning, added flexibility in the teaching and learning environment, and opportunities for continuous improvement. They state that the challenges faced in developing such a course include a lack of time, support and resources for course redesign, acquiring new teaching and technology skills, plus the risks associated with delivering a course in a blended format. From an administrative perspective, blended learning presents the opportunity to enhance an institution's reputation, expand access to an institution's educational offerings, and reduce operating costs. The challenges consist of aligning blended learning with institutional goals and priorities, resistance to organizational change and lack of organizational structure and experience with collaboration and partnerships. Vaughan, N. (2007). Perspectives on Blended Learning in Higher Education. International Journal on E-Learning, 6 (1), 81-94. Waynesville, NC USA: Association for the Advancement of Computing in Education (AACE). Retrieved April 19, 2019 from https://www.learntechlib.org/primary/p/6310/. Arabasz, P., Boggs, R., & Baker, M. B. (2003, April). Highlights of e-learning support practices. Educause Center for Applied Research Bulletin, 2003(9), 1-11. Barone, C. (2001). Conditions for transformation: Infrastructure is not the issue. Educause Review, 36(3), 41-47. Bates, T., & Poole, G. (2003). Effective teaching with technology in higher education: Foundations for success. San Francisco: Jossey-Bass. Bleed, R. (2001). A hybrid campus for a new millennium. Educause Review, 36(1), 16-24. Dodge, B. (2001). FOCUS: Five rules for writing a great webquest. Learning & Leading with Technology, 28(8), 6-9. Dziuban, C., Hartman, J., & Moskal, P. (2004, March). Blended learning. Educause Center for Applied Research Bulletin, 2004(7), 1-12. Garrison, D.R. (2004). Transformative leadership and e-learning. 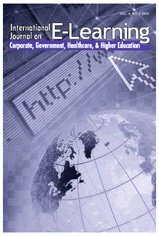 In K. Matheos & T.Carey, Advances and Challenges in eLearning at Canadian Research Universities (pp. 46-54). The University of Manitoba: Centre for Higher Education Research and Development. Garrison, D.R., & Anderson, T.
Garrison, D. R., Kanuka, H., & Hawes, D. (2002). Blended learning: Archetypes for more effective undergraduate learning experiences. University of Calgary: Learning Commons. Hartman, J.L., & Truman-Davis, B. (2001). Institutionalizing support for faculty use of technology at the University of Central Florida. In R.M. Epper & A.W. Bates, Teaching faculty how to use technology: Best practices from leading institutions (pp. 39-58). Phoenix, AZ: Oryx Press.